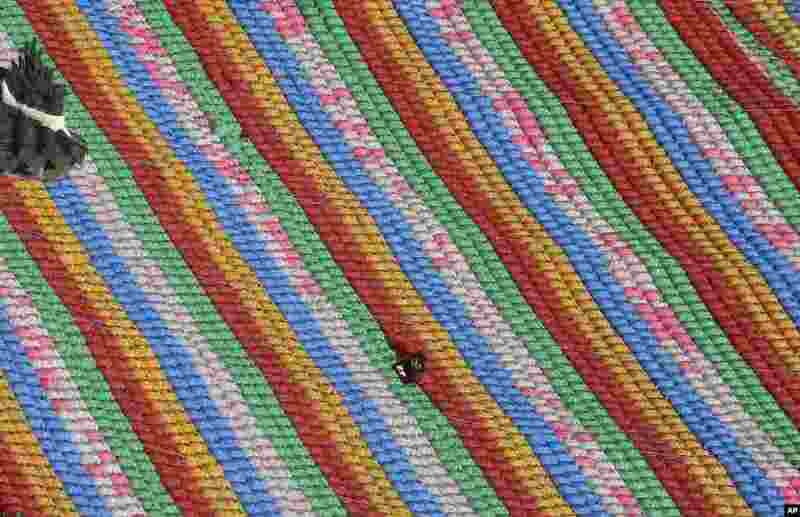 1 A worker adjusts lanterns for upcoming celebration of Buddha's birthday at Jogye temple in Seoul, South Korea. 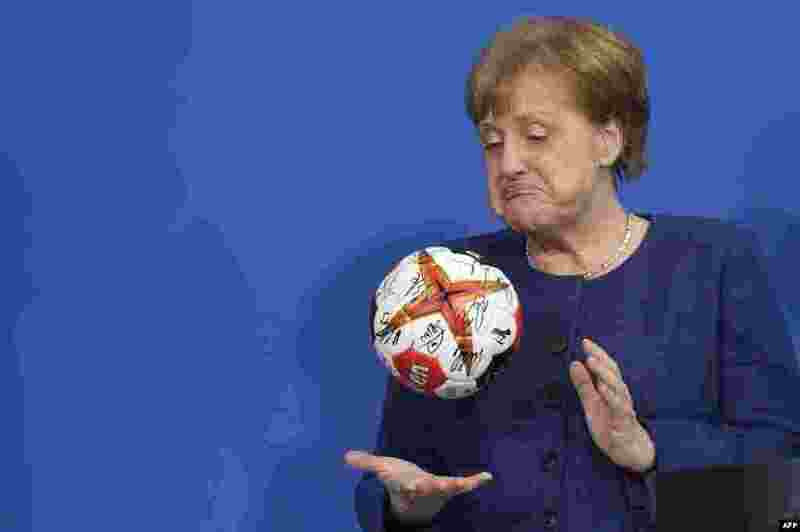 2 German Chancellor Angela Merkel plays with a handball given to her by the German Handball Federation's president (not in picture) at the Chancellery in Berlin. 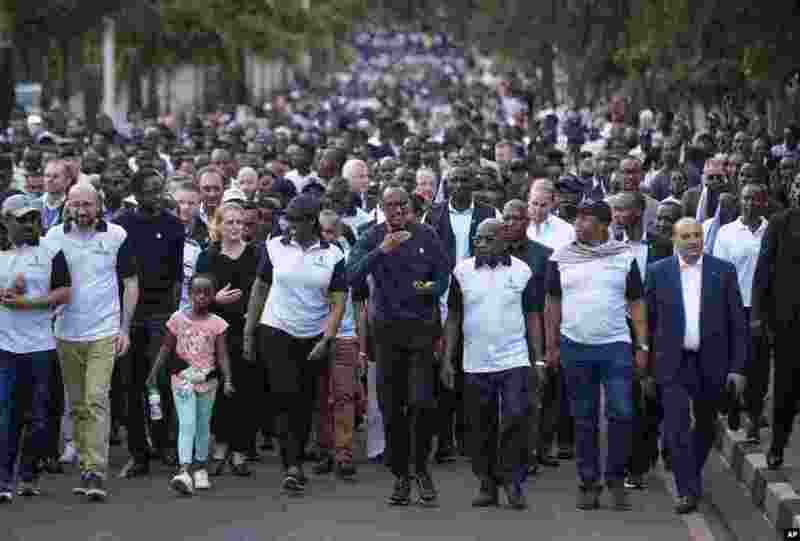 3 Rwanda's President Paul Kagame, center, gestures as he and first lady Jeannette Kagame, center-left, lead a "Walk to Remember" accompanied by Ethiopia's Prime Minister Abiy Ahmed, far left, Prime Minister of Belgium Charles Michel, second left, France's Herve Berville, third left, and Governor General of Canada Julie Payette, fourth left, from the parliament building to Amahoro stadium in downtown Kigali, April 7, 2019. 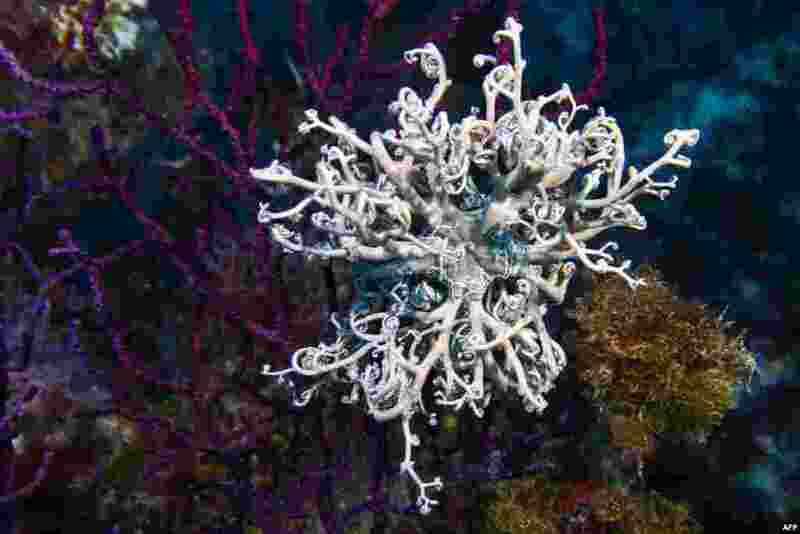 4 A basket star, or Gorgonocephalidae Astrospartus, is seen near La Ciotat, southern France.